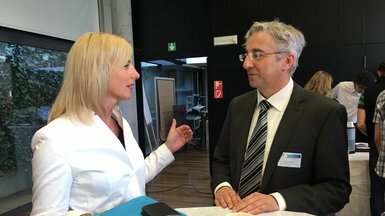 With the Helmholtz Artificial Intelligence Cooperation Unit (HAICU ), the Helmholtz Association is building a forward-looking network for applied artificial intelligence (AI). 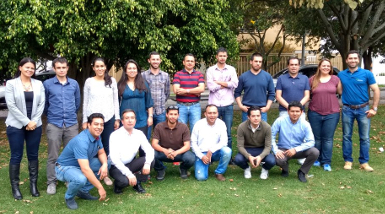 HAICU will develop, implement and disseminate KI methods, for example for the analysis of complex systems in the fields of climate, energy, transport or health. 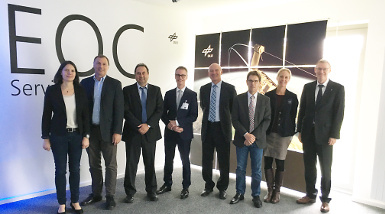 Two members of the German Bundestag, Karlheinz Busen (FDP) and Bernd Reuther (FDP), visited the German Aerospace Center (DLR) in Oberpfaffenhofen on 28 March 2019 to hear about activities in the areas of digitisation, agriculture and transportation. 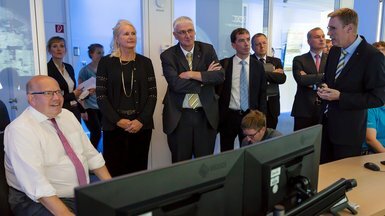 They were particularly interested in the subject of "traffic applications" at the Center for Satellite Based Crisis Information (ZKI) of the Earth Observation Center (EOC). 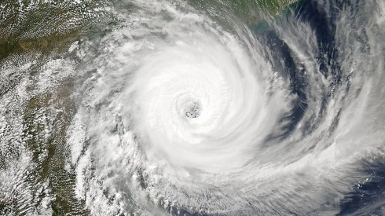 The Tropical Cyclone Idai is regarded as one of the worst tropical cyclones on record to affect Africa and the Southern Hemisphere as a whole. The storm caused catastrophic damage in multiple nations, leaving so far more than 600 people dead and hundreds more missing. 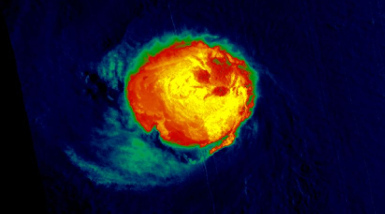 Idai brought strong winds and caused severe flooding in Madagascar, Mozambique, Malawi, and Zimbabwe. 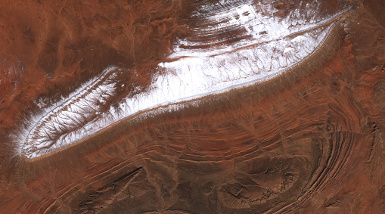 Earth observation satellites supply us with important data so that we can rapidly identify and record processes like environmental and climate change, or the movement or disappearance of glaciers. 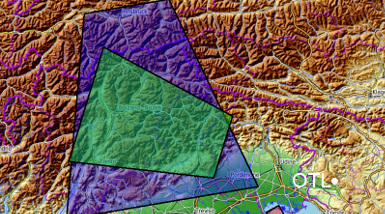 Up-to-date maps can be produced for emergency relief teams in cases of disasters like floods or earthquakes. 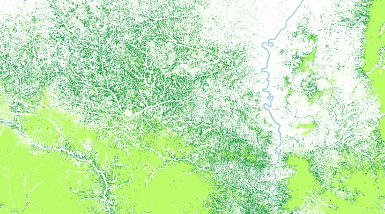 However, such information is based on huge mountains of data. 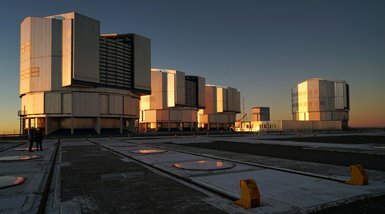 The satellites of the European Copernicus programme are among the world's largest data producers. On 11 and 12 February 2019 a Delegation from Azerbaijan and Georgia visited DFD. 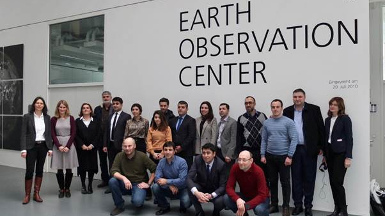 The occasion was a meeting connected with the GRAZE (Grassland Extent and Condition Mapping in Azerbaijan) project. 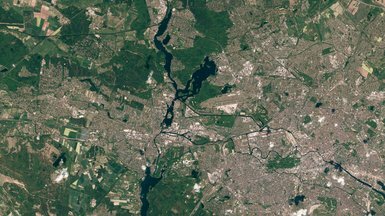 Around five years ago, in April 2014, the first satellite of the European earth observation Copernicus programme was launched, Sentinel-1A. Meanwhile, seven Sentinel satellites are in operation. 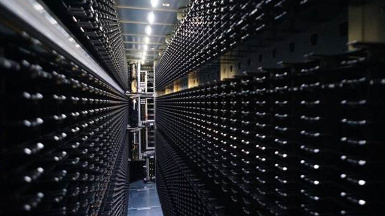 EOC processes and archives the data recorded by four of them, now amounting to over 10 petabytes. 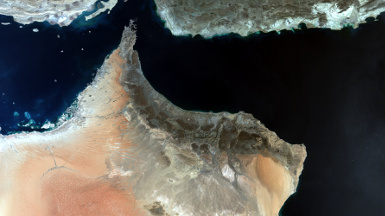 EOC conducts research in the field of remote sensing. 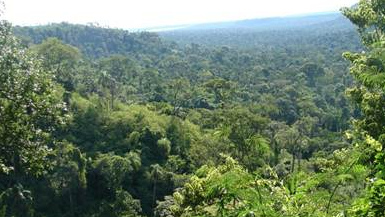 We seek answers to urgent social questions relating to the environment and climate, mobility and planning, prevention and management of natural catastrophes, and civil security. 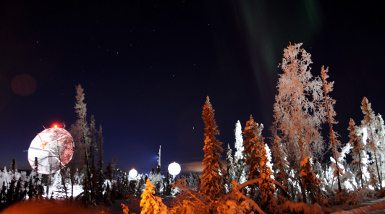 We operate satellite data receiving stations in Germany and abroad. 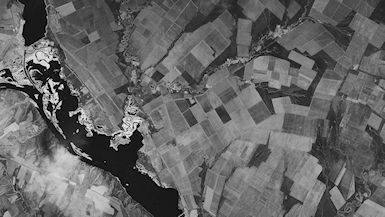 In the German Satellite Data Archive (D-SDA) we safeguard data and information products long-term and make them available to users. 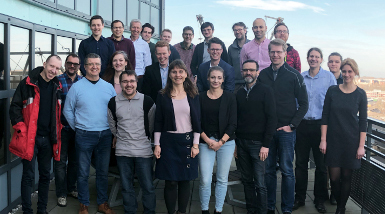 EOC comprises the German Remote Sensing Data Center (DFD) and the Remote Sensing Technology Institute (IMF), at work in Oberpfaffenhofen, Neustrelitz, Berlin-Adlershof and the Maritime Safety Research Department in Bremen. 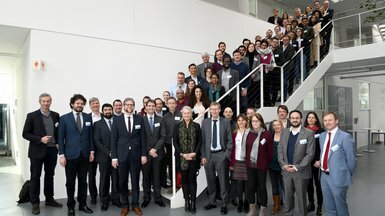 From 18.-22.02.2019 the first technical dry run for the trial "The Netherlands" took place within the framework of the EU-funded FP7 project DRIVER+. DRIVER+ brings together innovative (technical) solutions for crisis management and tests them in Europe-wide demonstrations. 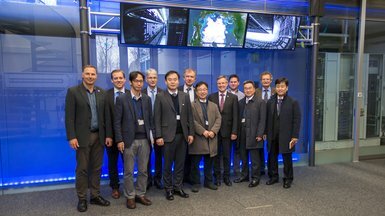 DLR is involved in the project with four institutes, including the Earth Observation Center (EOC) with ZKI. 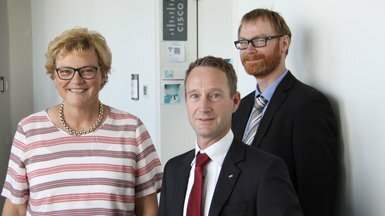 Steffi Lemke, member of the Bundestag (Bündnis 90/Die Grünen), visited the German Aerospace Center (DLR) in Oberpfaffenhofen on 8 February 2019 and was particularly interested in the work of the ZKI. Waves not only influence the dynamics of water in the ocean but also of air in the atmosphere. 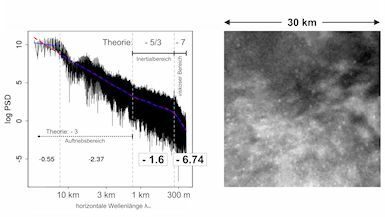 So-called gravity waves are to be found especially in the upper mesosphere / lower thermosphere at about 80 to 100 kilometres altitude. Humanitarian aid organisations are increasingly seeking technological support for their work in crisis and disaster areas. New technologies, such as satellite remote sensing, robotics and communications technology, help help aid workers to make the care and rescue of people in need as effective as possible. 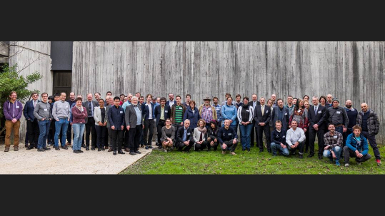 DLR has initiated a special event to jointly develop solutions: Around 80 scientists, humanitarian actors and sponsors have come together for the "DLR Humanitarian Technology Days", which took place in Oberpfaffenhofen from 6 to 7 February 2019. 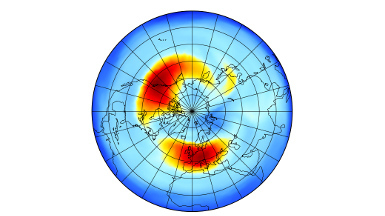 NDMC (Network for the Detection of Mesospheric Change) is a global programme with the aim of identifying changing climate signals in the mesopause region (80-100 km) at an early stage. 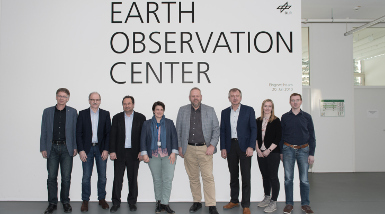 The eighth NDMC meeting will take place at DLR's Earth Observation Center in Oberpfaffenhofen. 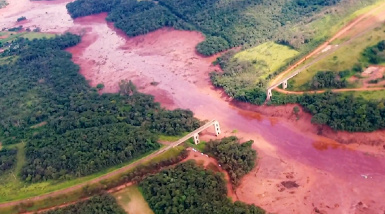 A dam burst at an iron mine in the Brazilian state of Minas Gerais near the village Brumadinho released a wave of red iron waste. Satellite data has already been made available as part of the International Charter "Space and Major Disasters". 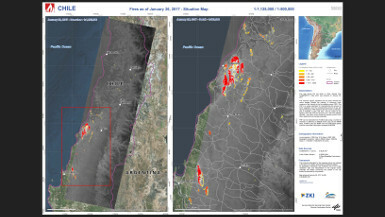 DLR supports the crisis management activities with RapidEye data and an analysis of pre and post event satellite data. Will Changes in the Stratosphere Lead to More Extreme Weather Events? 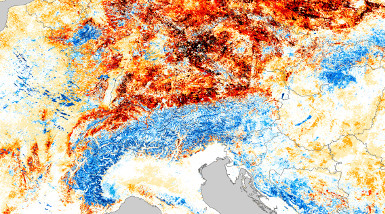 In the past few weeks cool, moist air masses from the north led to heavy snowfall in the Alps. This would not have been, in principle, an unusual weather situation if it had not persisted so long. In February/March of last year there was also lots of snow in eastern Europe and it was particularly cold as well. 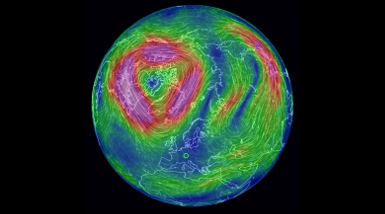 The reason for extreme events of this type could be changes in the stratosphere. EOC researchers expect this to be more often the case in the future. Since January 5, 2019 the whole Alpine foothills are affected by heavy snow falls. Therefore, in five Bavarian districts a state of emergency was declared. 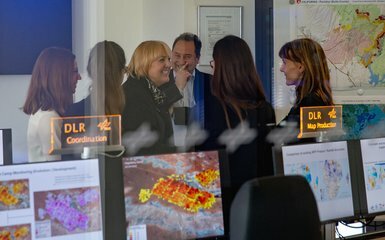 On December 20th, 2018, Mrs Claudia Roth, Vice-President of the German Bundestag, visited the German Aerospace Center (DLR) in Oberpfaffenhofen. 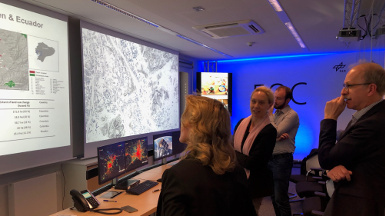 Special focus was set by the member of the Bundestag on tasks of the Center for Satellite based Crisis Information (ZKI), a user service of the Earth Observation Center (EOC). 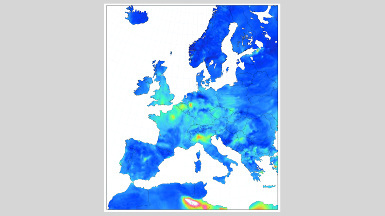 The Copernicus Atmosphere Monitoring Service (CAMS) provides for Europe and the rest of the world hourly updated forecasts for trace gases that affect our climate and air quality. 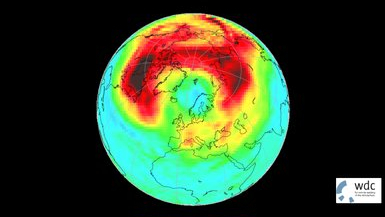 The service now uses data products generated at EOC based on Copernicus Sentinel-5P (S5P) satellite data for its ozone forecasts. 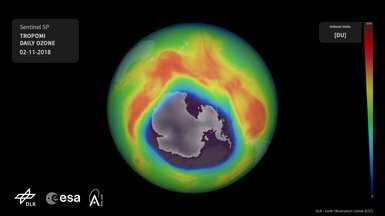 Although the ozone layer in the stratosphere provides us with a protective shield, ground-level ozone is a primary ingredient of urban smog, irritates the respiratory tract, and damages vegetation. 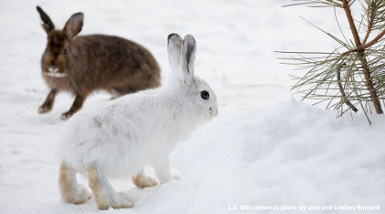 The consequences of climate change on snow coverage are evident worldwide. 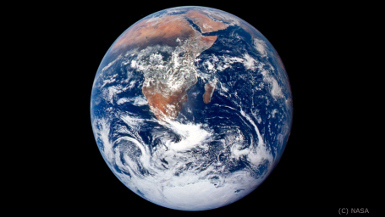 In addition to tourism, these changes also affect water availability, vegetation, agriculture, animal populations, and the global radiation balance. 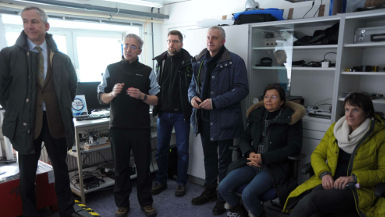 Based on satellite data available daily at EOC, routine assessment of global snow cover is carried out in order to understand these processes and their relevance for society and the natural environment. 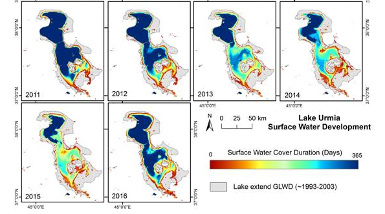 The results of such analyses are consolidated in the “Global SnowPack” data set. 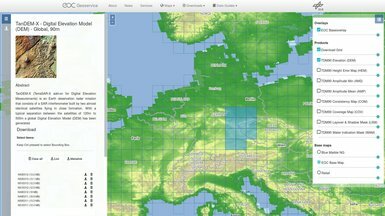 Nicely in time for the 2018 National Remote Sensing and Copernicus Forum in Berlin, the CODE-DE service platform makes available throughout Europe rectified and atmospherically corrected Sentinel-2 data (Level-2A). This adds another valuable data set to the existing inventory, which exceeds 1.2 million products. 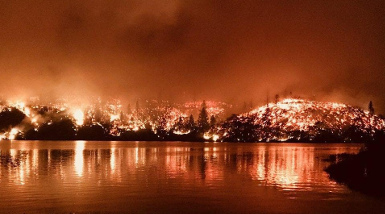 A, for the season, unusual drought lead to devastating forest fires in California. 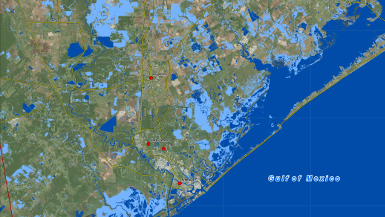 So far several hundred thousand people were evacuated and dozen deaths were registered. Butte County, located in Northern California, is especially affected. 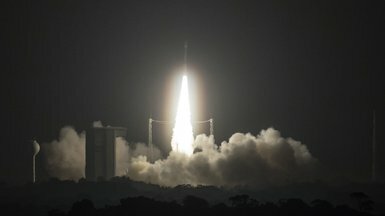 Satellite data has already been made available as part of the International Charter "Space and Major Disasters". A, for the season, unusual drought lead to devastating forest fires in California. So far several hundred thousand people were evacuated und dozen deaths were registered. Butte County, located in Northern California, is especially affected. 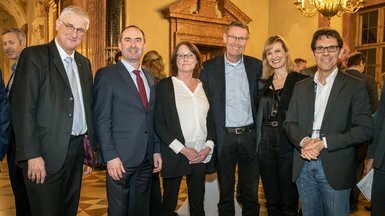 The DLR Science Award 2018 was granted to a joint science team from different DLR institutes. 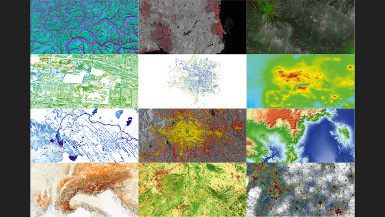 It is an acknowledgement of the work on the generation and performance assessment of the global digital elevation model provided by the TanDEM-X mission. 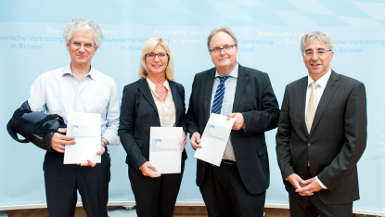 Dr. Birgit Wessel, Dipl.-Ing. 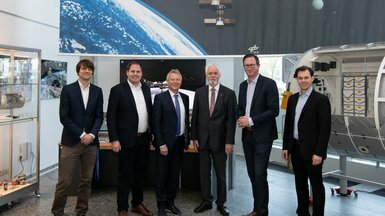 Martin Huber and Dr. Thomas Fritz from the Earth Observation Center (EOC) and further scientists from the Microwave and Radar Institute were forming the team. 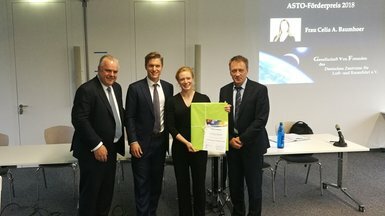 EOC scientist receives "ASTO Förderpreis"
For the fifth time the "ASTO Förderpreis" was awarded by the ASTO Group at 24th of October. 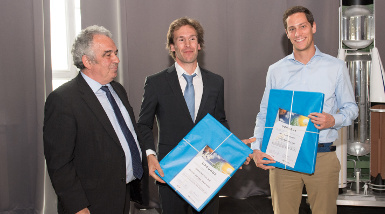 This year Celia Baumhoer (Department Land Surface Dynamic, DFD) was awarded for her work in the context of her PhD thesis “Glacier front dynamics of Antarctica – Analyzing changes in glacier and ice shelf front positions based on SAR time-series“. 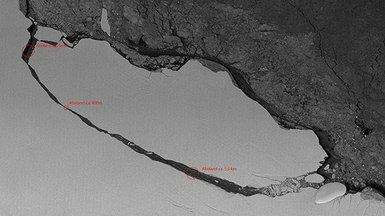 Pine Island Glacier continues to shrink! The Pine Island Glacier in West Antarctica fascinates scientists worldwide and is the hotspot for glaciologists and climate researchers who try to understand the melting of the West Antarctic ice sheet. 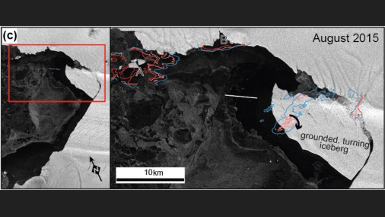 In a study in which scientists from the EOC were also involved, the changes at Pine Island Glacier were examined in more detail. 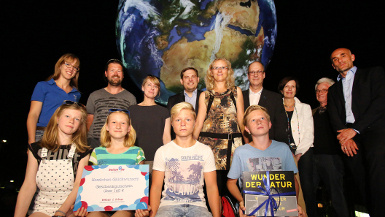 The German Aerospace Center (Deutsches Zentrum für Luft- und Raumfahrt; DLR) has selected the best application ideas in the field of Earth observation for the Copernicus Masters. 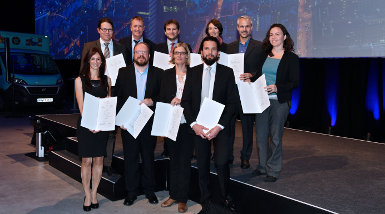 Following a multistage selection process, the three finalists for the DLR Challenge as part of the Copernicus Masters 2018 have now been confirmed. On 1 October the Processing and Archiving Center (PAC) at EOC began routine operations for handling data from ESA's Sentinel-3B satellite. This date marks the full implementation of the PAC commissioned by ESA. 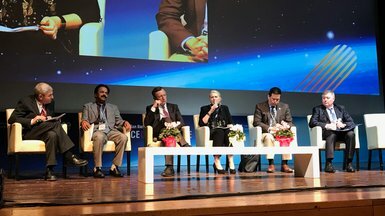 The German Aerospace Center (DLR), and Teledyne Brown Engineering presented the first images of the DESIS hyperspectral Earth observation instrument at the International Astronautical Congress (IAC). The instrument was mounted to the exterior of the International Space Station on 27 August 2018. 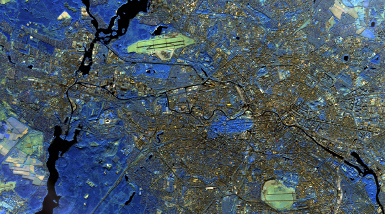 From today DLR made available to the public the 90 metre resolution global elevation model from the TanDEM-X mission. The data set can now be downloaded free of charge via the new EOC download service. She informed herself about the remote sensing opportunities offered by the WorldView reception and processing systems at EOC. 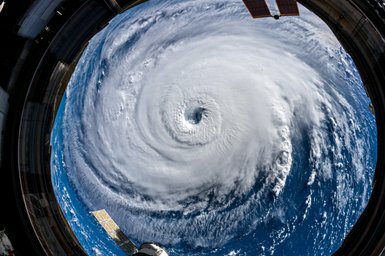 On 14th 2018, hurricane Florence made landfall on the coast of North Carolina, USA. 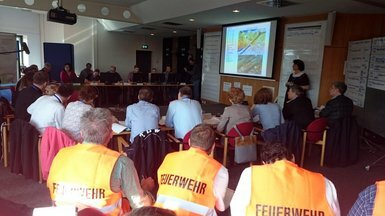 In the frame of the International Charter Space and Major Disasters, DLR supports the crisis management activities. 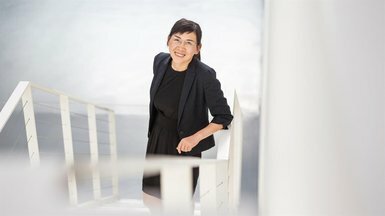 Xiaoxiang Zhu of the Remote Sensing Technology Institute at the German Aerospace Center (DLR) has been awarded the 30,000 euro Leopoldina Early Career Award 2018. 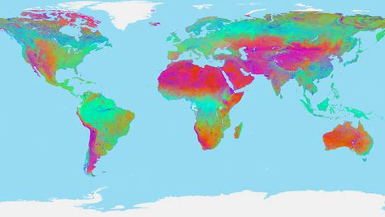 Its view of Earth will be something special: The DESIS hyperspectral instrument has 235 spectral channels to look at our planet and observe the changes in land and water surfaces. On 27 August 2018 at about 21:00 CEST, the instrument developed by the German Aerospace Center (DLR) and equipped with a robotic arm was taken out of the airlock of the International Space Station (ISS) and installed on the MUSES platform located on the space station's exterior. 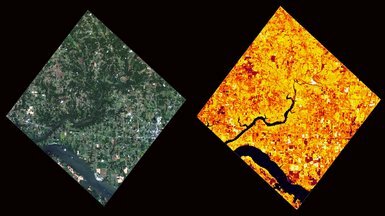 The hyperspectral data obtained from space is expected to deliver information for environmental monitoring, among other uses. 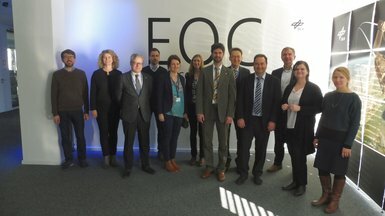 A tour of EOC was also on the agenda of the visit of the Federal Minister for Economic Affairs and Energy (BMWi), Peter Altmaier, to the DLR research center in Oberpfaffenhofen. 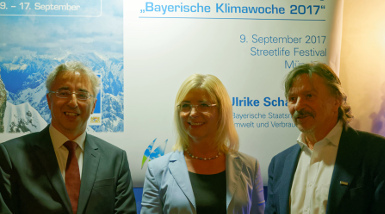 Minister Altmaier was keenly interested in DLR's satellite technologies and earth observation research activities. 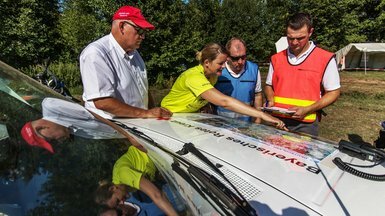 With the new Rapid Response Force, the Bavarian Red Cross is preparing itself for emergency operations in the event of disasters. 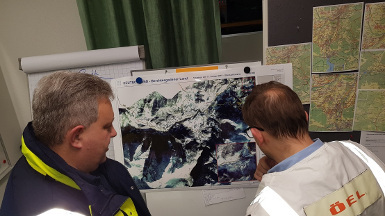 The assessment of the situation on the ground could in future be supported by researchers from the EOC. 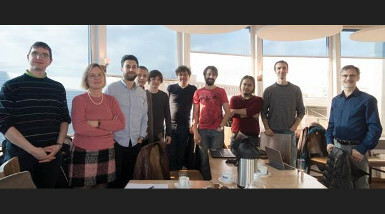 Within the framework of VABENE++, remote sensing technologies have already been tested and demonstrated. 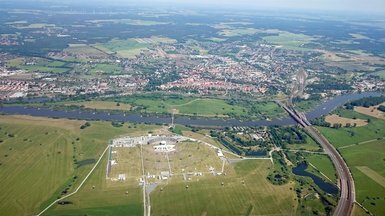 Recent weeks of heat and aridity have dried out soil and vegetation in northern and eastern Germany. In some regions the lowest precipitation levels in 50 years have been measured. 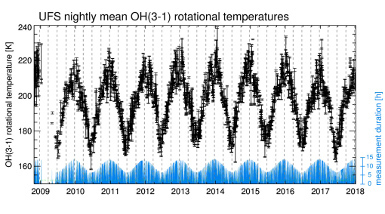 EOC time series analyses document the extent of the drought. 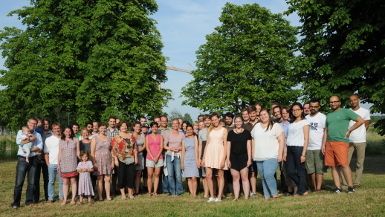 On 10 July 2018 Dr. Marcus Faber, Olaf in der Beek and Ulrich Lechte paid a visit to DLR in Oberpfaffenhofen. 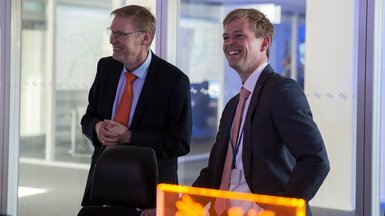 These members of Parliament came for a comprehensive introduction to the pioneering research being undertaken at this DLR location. After words of welcome extended by Oberpfaffenhofen managing director Dr. Reinhold Busen and his deputy Zekeriya Ceyhanli, the FDP politicians acquainted themselves with the most important facts concerning the research centre, followed by a joint tour of the facilities. 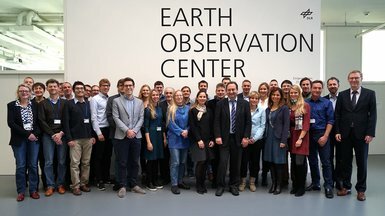 At EOC the delegates were particularly interested in DLR climate and environmental protection research and in the activities of the Center for Satellite Based Crisis Information (ZKI). Air pollution is one of the biggest threats to health worldwide. Around seven million people die as a result of pollutants every year, as the World Health Organization (WHO) has recently established in a global study. Industrial fumes and exhaust emissions from cars and other vehicles make a significant contribution to the number of deaths, as the particles penetrate deep into people’s airways, lungs and cardiovascular system. 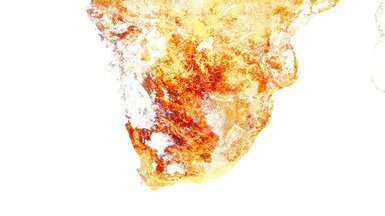 There is now a special service that can pinpoint sources of pollution precisely and analyse global pollutant distributions from space. 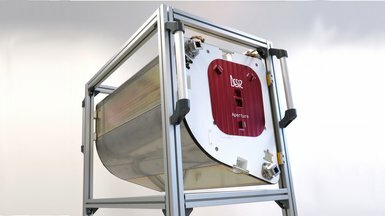 The DLR Earth Sensing Imaging Spectrometer (DESIS) – an environmental and resource monitoring system from the German Aerospace Center (Deutsches Zentrum für Luft- und Raumfahrt; DLR) – set off for the International Space Station (ISS) at 05:42 EDT (11:42 CEST) on 29 June 2018. 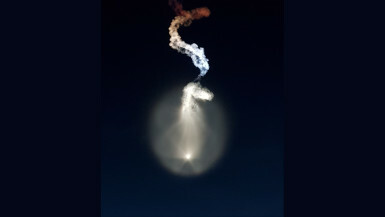 The Dragon capsule carrying DESIS launched from Cape Canaveral Air Force Station on a SpaceX Falcon 9 rocket. 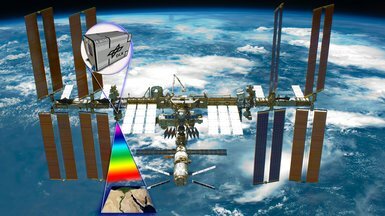 The hyperspectral instrument will monitor the environment and resources on Earth. 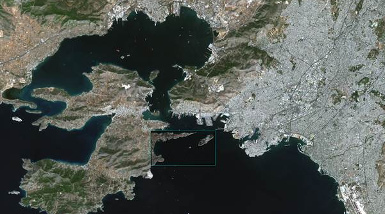 The ground segment was developed by the Earth Observation Center. 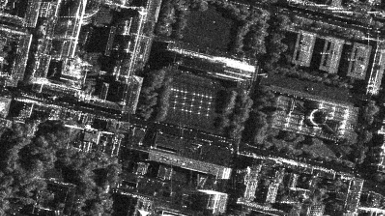 The TerraSAR-X satellite sent a very special greeting to mark the 150th anniversary of the Technical University of Munich (TUM). As a greenhouse gas methane is 25-times more effective than CO2. 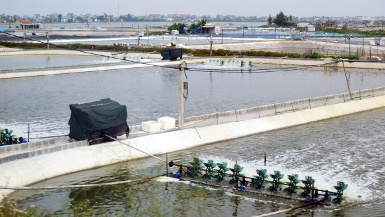 Its sources include agriculture, forestry, and mining activities, livestock farming, wastewater treatment plants, and waste-disposal sites, among others. Because of its potent greenhouse effect it is particularly important to identify methane sources. 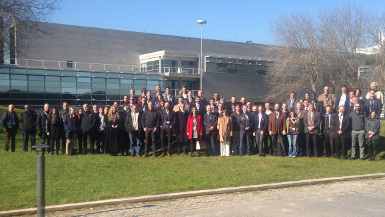 EOC is participating in a large European measurement campaign to test various technologies for detecting and measuring carbon dioxide and methane sources. Pine Island Glacier in West Antarctica is not only one of the fastest flowing ice streams on the Southern Hemisphere. 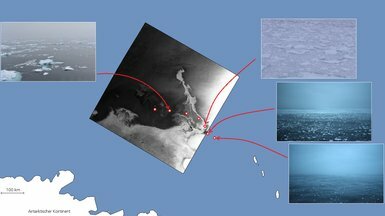 In the past eleven years huge icebergs have also broken off four times from its floating ice tongue. 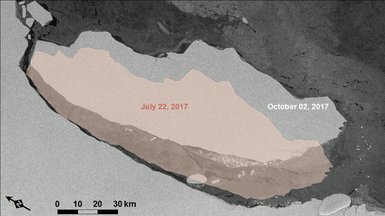 The reason for the abrupt retreat of the glacier front has now been clarified with the help of two EOC scientists. A four-person research group achieved the largest Antarctic expedition since the 1950s. Back then, the Commonwealth Trans-Antarctic Expedition led by Sir Edmund Hillary and Sir Vivian Fuchs successfully crossed the Antarctic via the South Pole for the first time. 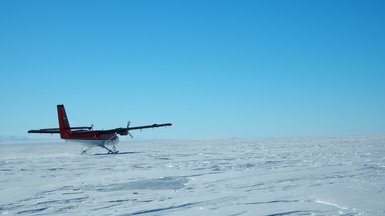 During this year’s Antarctic summer a team from Antarctica New Zealand, a government agency, found a way across an unknown section of the Ross ice shelf, an ice region the size of France. 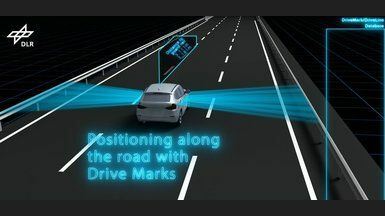 Crucial information for determining the route was supplied by the German Aerospace Center (DLR) using data from the TerraSAR-X radar satellite. The successful traverse was part of the "Ross Ice Shelf Project", which is investigating how the ice shelf reacts to global warming. 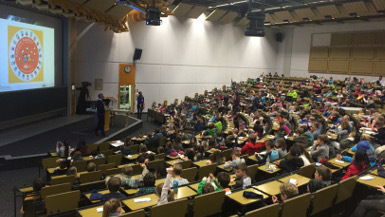 A few days ago a new data library came into operation at the German Satellite Data Archive, D-SDA. 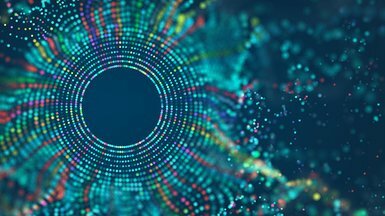 The volume of earth observation data is increasing almost exponentially, requiring a 60 petabytes (60 billion megabytes) expansion of D-SDA storage capacity. 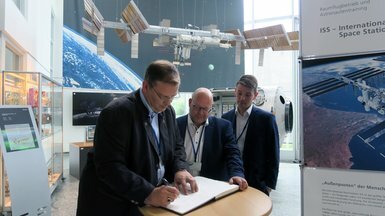 D-SDA safeguards long-term the data from German and international earth observation missions and makes them available for research. 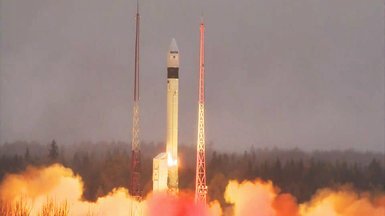 The Sentinel-3 satellite pair, one of the principal components of the European Copernicus programme, is now united in space. 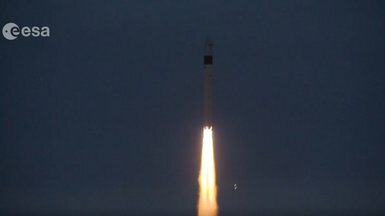 On 25 April 2018 at 19:57 CEST (20:57 local time) the Earth observation satellite Sentinel-3B lifted off on a Russian Rockot launcher from the Plesetsk Cosmodrome. 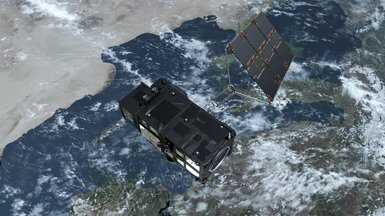 "The twin satellites will now monitor Earth together," explains Michael Nyenhuis, responsible for the Sentinel-3 mission at the German Aerospace Center (Deutsches Zentrum für Luft- und Raumfahrt; DLR) Space Administration. 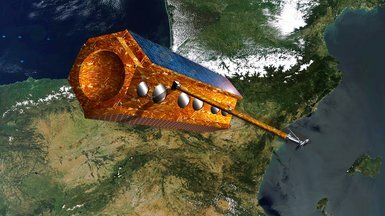 "Once Sentinel-3B has been successfully commissioned in orbit, the system will be fully operational and we will receive valuable additional data." EOC nominated: Blue Compass for Green Roofs! 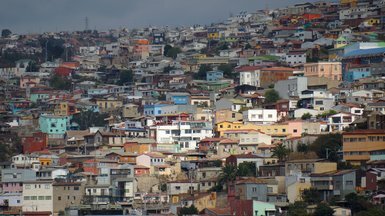 Climate change poses enormous challenges for cities. Extra green spaces on rooftops can provide some relief. 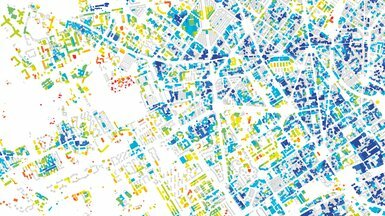 A technology developed at EOC helps detect green rooftops and those that can be potentially vegetated. Green rooftop mapping has now been nominated for a “Blue Compass” award by the federal environment agency as a contribution to climate protection and adaptation to climate change. 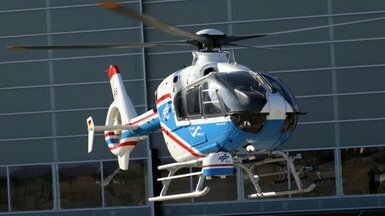 The German Aerospace Center (Deutsches Zentrum für Luft- und Raumfahrt; DLR) and the United States corporation Teledyne Brown Engineering (TBE) are announcing the completion of the development and manufacturing process of the DESIS hardware. 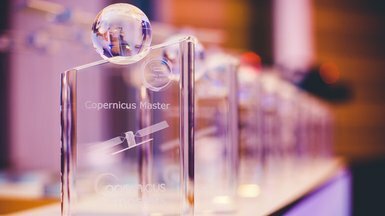 In April, the Copernicus Masters competition was launched, in which DLR once again offers an attractive prize. 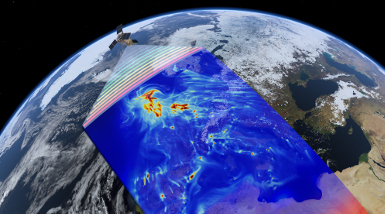 We are looking for innovative applications and ideas that make the most of Copernicus data to improve human well-being, the environment and the use of natural resources. 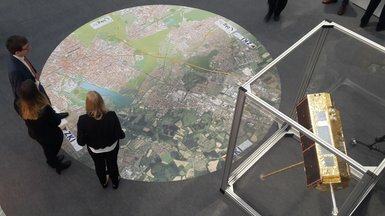 The BigDataCube project has the goal of advancing the paradigm of the “data cube” – in other words, ready-to-analyse spatiotemporal raster data – from the status of a science prototype to a pre-competitive earth-observation service. Nitrogen oxides, ozone, sulphur and particulate matter in the air we breathe have moved to the centre of public attention. 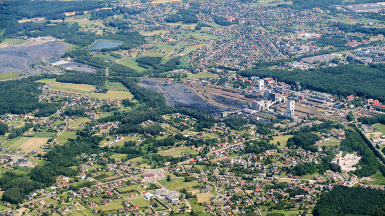 Increasingly strict threshold values for these pollutants are being exceeded in numerous cities. However, whether and to what extent particular individuals suffer from air pollution depends on additional environmental parameters, as well as on personal disposition. 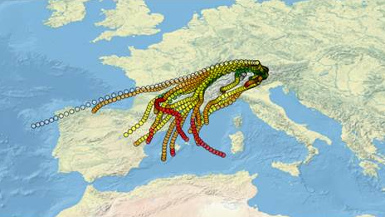 In the recently launched BioClis project EOC is investigating these connections with the goal to inform people about their environmental and health risk. 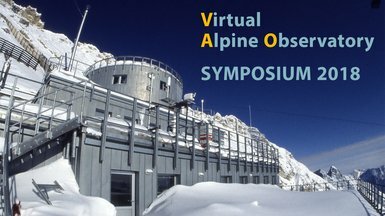 The Fourth Symposium of the Virtual Alpine Observatory, VAO, took place from 13-15 March 2018 in Grenoble, France. 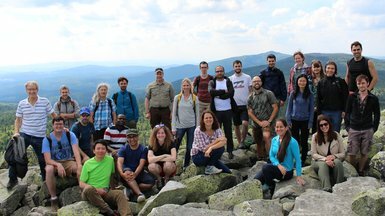 It was attended by about one hundred scientists from the Alpine region countries Austria, Switzerland, Italy, Germany and France. Institutions affiliated with VAO in Norway and Georgia were also represented. At 4478 metres the Matterhorn is not one of Earth’s highest mountains—not even the highest mountain in the Alps. But its striking triangular shape makes it unique. 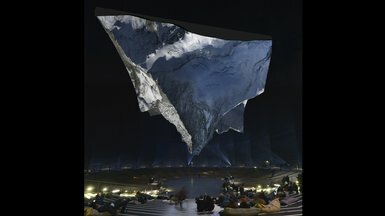 The German Aerospace Center (DLR) has measured this rock pyramid with the help of satellite and aircraft overflights and generated from the data a precise terrain model that now brings the mountain to Gasometer Oberhausen as a 3D projection on a 17 metre high reproduction of the Matterhorn. 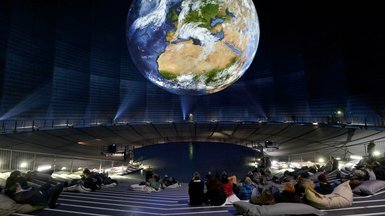 There it floats upside down in the 100 metre high airspace of the Gasometer as the highlight of the exhibition "The Call of the Mountains", opening on 16 March 2018. A mirror on the floor reflects the mountain, enabling a bird’s eye view. 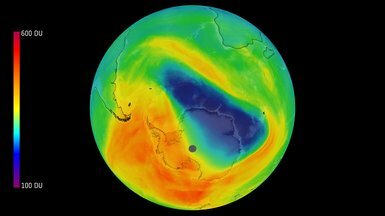 Warming of the Stratosphere Leads to Arctic Temperatures! 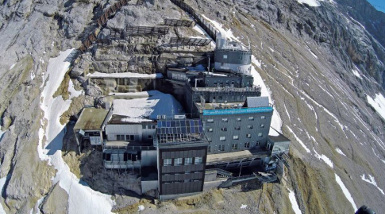 Temperatures in the two-digit minus range dominate the weather these days; a record-breaking seasonal value below -30°C was measured on Mount Zugspitze. 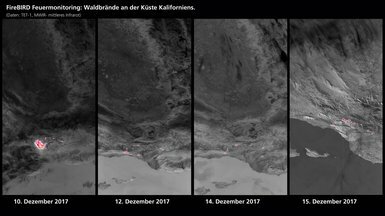 For Germany, 2017 was the third-coldest year since measurements started in 1987—but that was true only at 87 kilometres altitude. Rice is one of the world’s most important sources of nutrition. 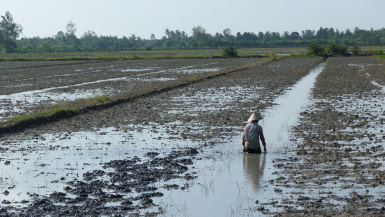 A satellite-image-based analysis carried out at EOC shows changes in China's rice acreage. In December 2017, wild fires have been burning in parts of California. 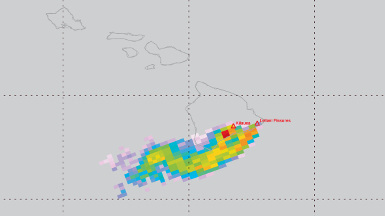 On December 12, 2017, DLR’s TET-1 satellite captured major hot spots in the region. EOC scientists are setting up measuring equipment in the Atacama Desert, one of Earth’s most arid regions. In which quantity are trace gases, such as nitrogen dioxide, ozone, formaldehyde, sulphur dioxide, methane and carbon monoxide, present in our atmosphere? 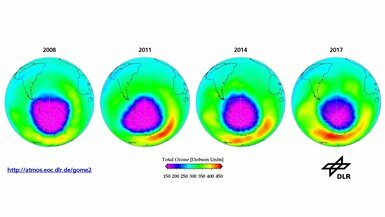 How high are the global and regional concentrations of aerosol particles? Which processes induce changes in our environment, and how do they affect our climate, air quality, and therefore our health? 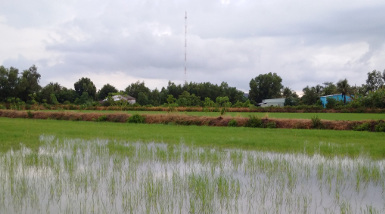 Vietnam’s Mekong Delta is not only one of the largest and most densely populated, but also one of the most vulnerable river deltas worldwide. 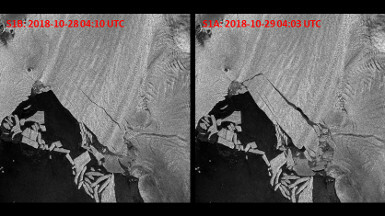 The radar image shows the gigantic iceberg in full size. Since calving ten days ago, it has receded up to five kilometres from the break-off edge. Some 120,000 people met for the closing event of the Evangelischer Kirchentag, a Protestant church gathering, on 28 May 2017 in Wittenberg. 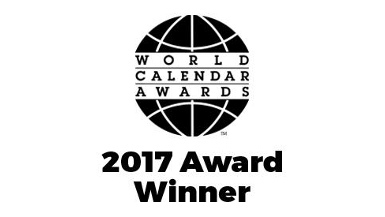 After receiving honours in Germany, the limited edition DLR calendar containing scenes provided by EOC was also a successful entrant in a calendar competition in the USA.